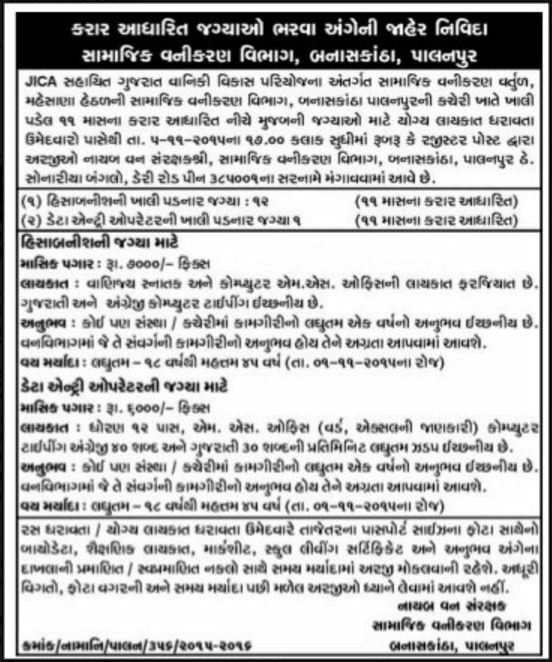 Gujarat Forestry Development Project (GFDP) Banaskantha Bharti 2015 for Accountant & Data Entry Operators: Gujarat Forestry Development Project (GFDP), Panalpur has issued a recruitment notification for recruitment of Accountant & Data Entry Operators posts vacancy. Eligible candidates can apply offline on or before 05-11-2015. How to apply: Eligible candidates may send their application & documents to given address below.